Recently I am noticing a change in the arguments that apologists for the Kosovo war are using. The arguments are shifting to the situation before the war. You will for example read that there were 200 to 400.000 refugees and that 2000 people died in the year before the war. I would like to read your vision on that period. 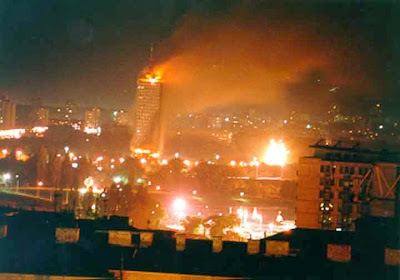 I remember seeing figures for pre-NATO deaths in Kosovo (I believe it was a police document posted on Slobodan-Milosevic.org) indicating that the KLA had killed three times as many Albanians as it had killed Serbs. See, what war does is create a polarized situation, forcing people to pick sides. 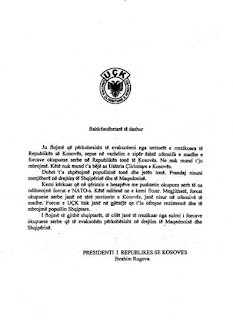 So even those Albanians who wanted to live in peace with the Serbs were not given a choice - first and foremost by the KLA, which killed those who would not support it, but later too by the Serb police, which had no means of distinguishing loyal Albanians from KLA sympathizers.